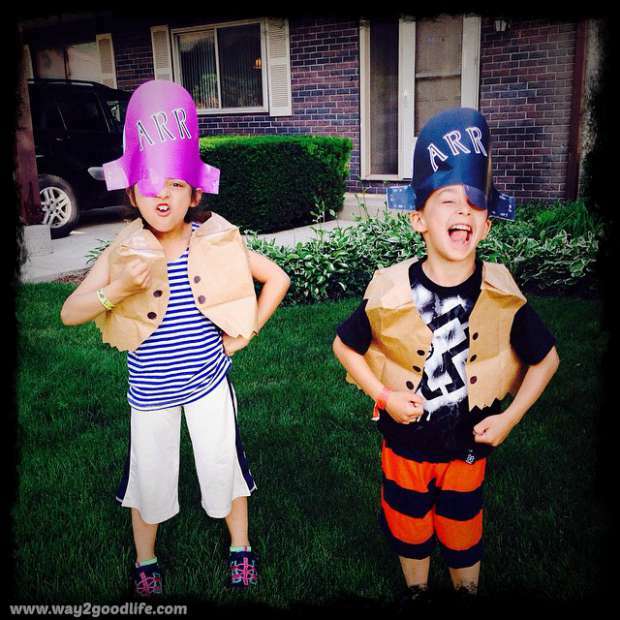 Love Halloween but not enjoy breaking the bank for the Halloween costumes, then you’re in luck as we have 9 easy to make Halloween costumes for kids. 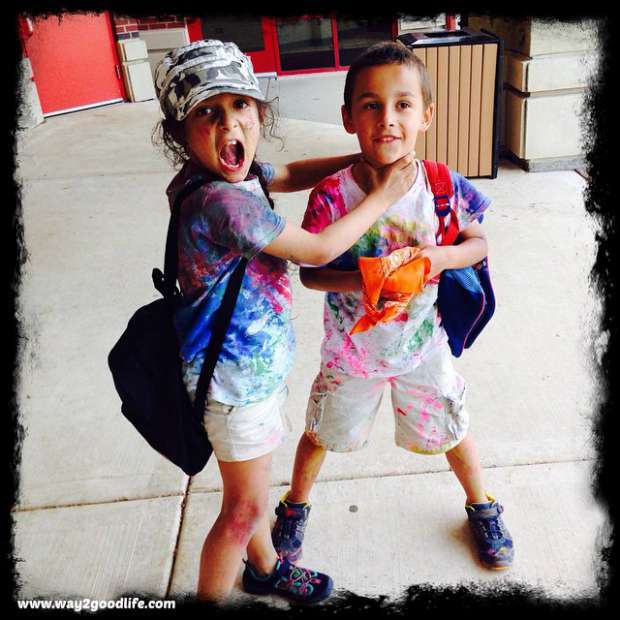 A little history: my kids’ summer day camp is lots of fun and I absolutely love taking my kiddos there, yet their weekly theme day drove me absolutely insane. 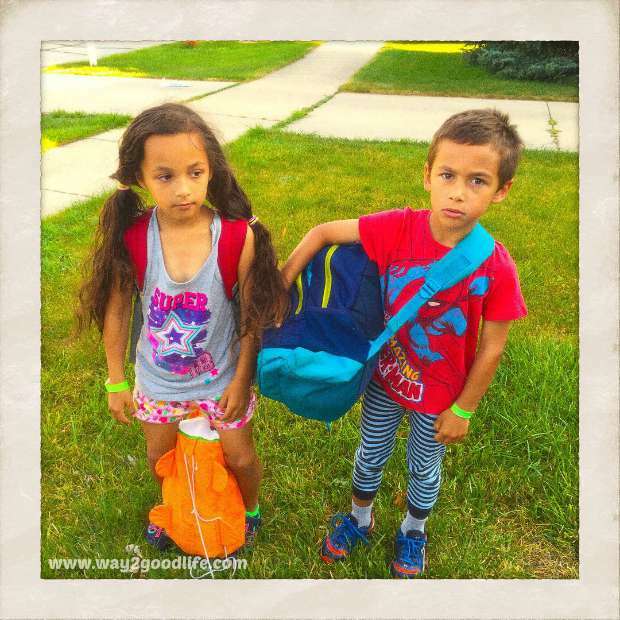 10 weeks – 10 costumes and what full-time working mom has the time to make 10 costumes for two kids? However, I refused to give up and made it my mission to get these costumes done quick and easy with only what I had on hands. How much money do you put aside for the Halloween costumes? A few times I paid full price for a Halloween costume, I wished I could return it whenever the credit card costume hit my mailbox. Let’s be real, if you want to get good quality costumes, you have to pay lots of money and the ones on the budget usually don’t last long. Well, that stops here. Check out these easy to make DIY costumes and surprise your kids and neighbors with something unique yet very cheap. Did I say cheap? Some of them are free or almost free, yet are complete head turners. Are you ready? 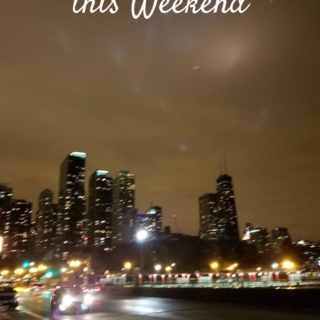 Come back here during this Halloween season – I will be adding links to most of the costumes mentioned with step-by-step instructions. Relive this great movie with box trolls characters. This probably is the most adorable out of my DIY Halloween costumes. See the full tutorial here. We are happy turtles and we are going places. I think it took me less than 10 minutes to make these costumes. We used an Oval Turkey Roaster with handles. It is super shiny, and te ridges sure make it look like a turtle’s shell. 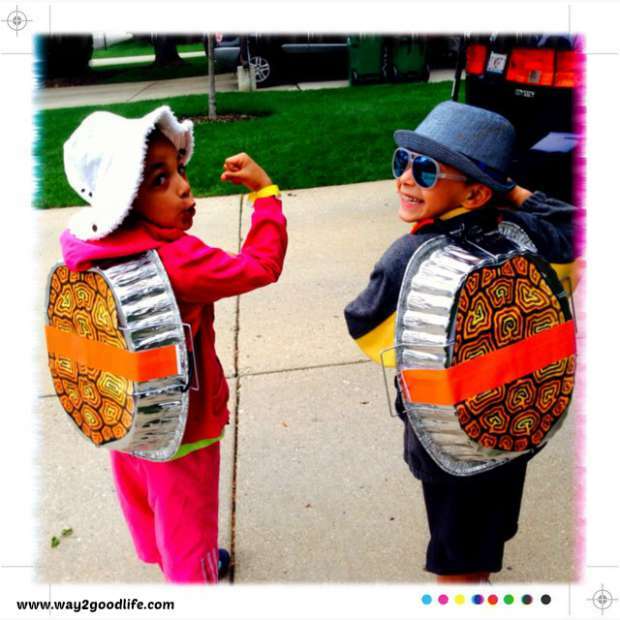 Search the web for the “turtle shell pattern” and pick the one that will make the best fit. Check out the full tutorial here. Believe it or not, the messy look might just be what you are looking for this season – relax. It is all about details with these costumes, but it is totally free – you are most likely have everything needed for this outfit. See step-by-step tutorial here. Love the Jurassic Park? 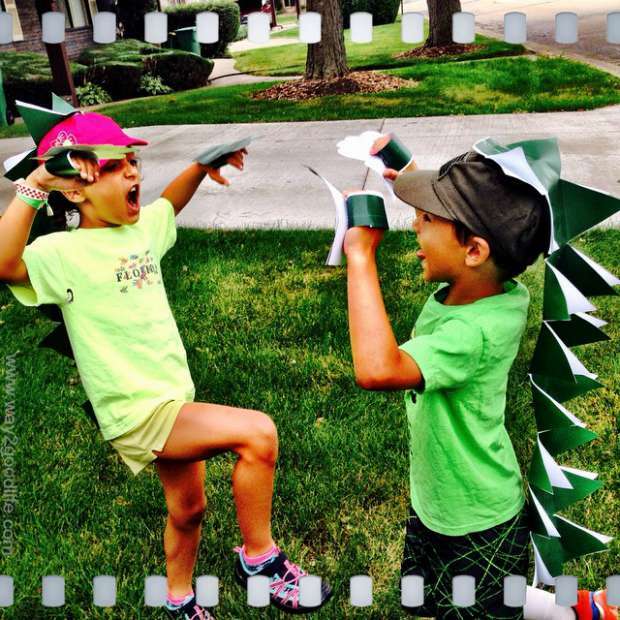 You will love these dinosaur costumes – flashy, adorable and 100% paper made! 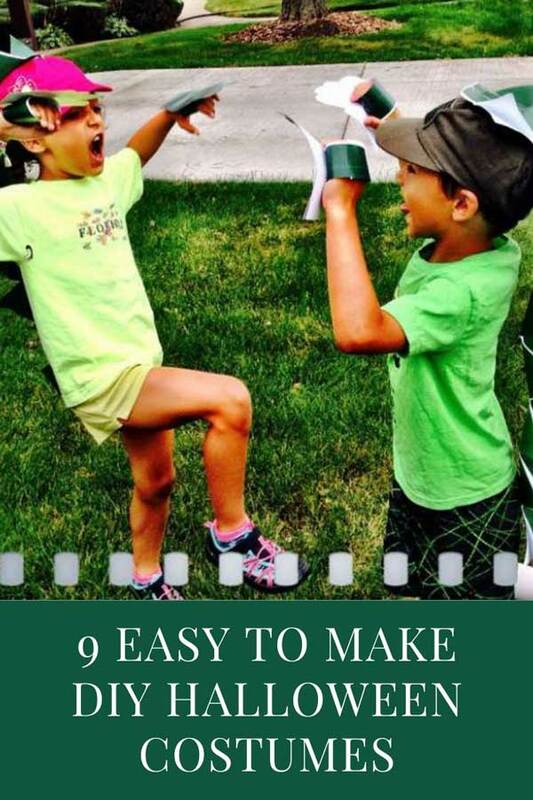 You will need a lot of green paper, a hat, stapler, and some adhesive tape. Check out these step-by-step instructions. 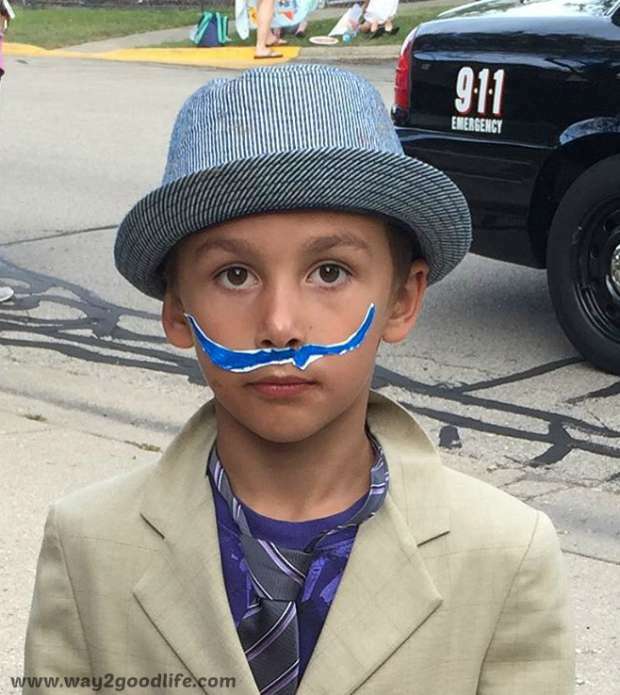 Ok, kids don’t rush growing up, but this costume looks super adorable. She totally looks like someone you know, who is famous. Does it even matter which celebrity she looks like – just go for the celebrity pose. Do I even need an explanation for this? Wow, these are so creative! I love that you thought outside the box for many of these. Who doesn’t love a quick, easy costume? I think the creative DIY ones are way nicer than the store bought. 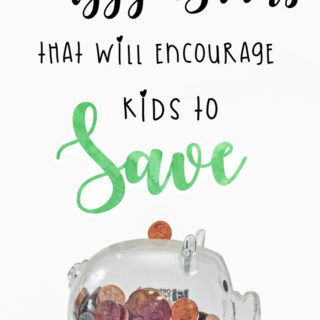 The kids will also appreciate it more! I love these costume ideas!! 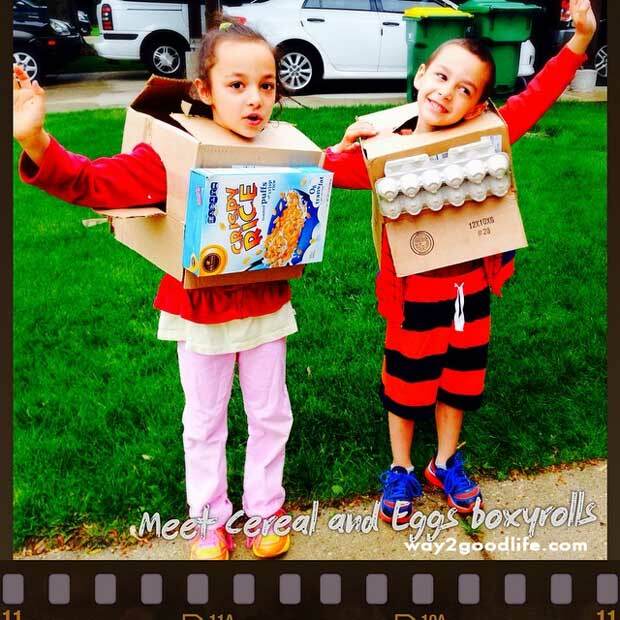 I think the Box Trolls and the Turtles would be my kid’s favorites! We have not really made Halloween costumes I always worry they would be hard to make. Haha, I love all these ideas. 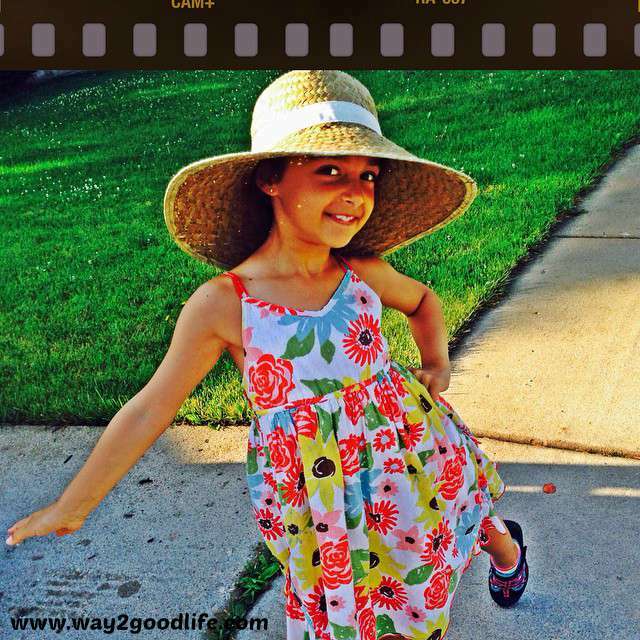 Costumes can be expensive and these are great options to save money. And the best thing is, this looks so easy to do. The casual turtles look really cute. What great ides, who doesn’t love a DIY. The turtle costume is super creative, I love the fish too. Costumes can be so expensive for one event, sometimes making one is more fun anywayh. 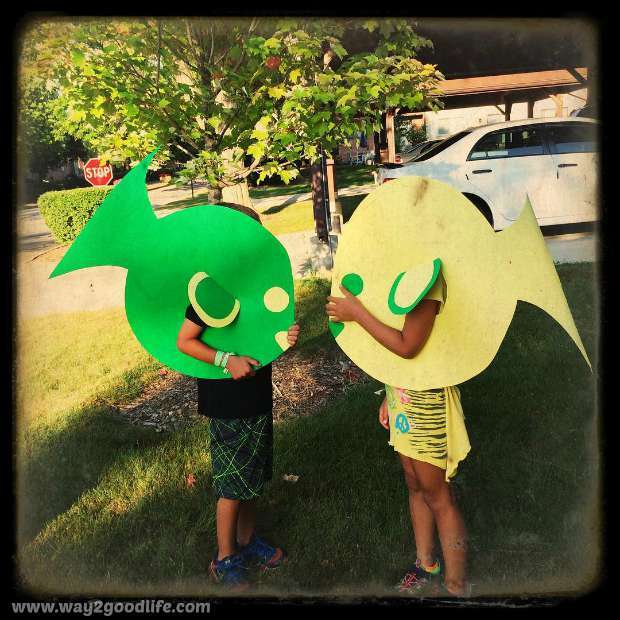 These are fun and inexpensive costumes! I know this time of year yes the costumes can be pricey! These are good alternative I like the Casual Turtles one! These are adorable and so much fun! Costumes are so expensive and they wear them for a day and forget about them. Plus, they’re not too unique because there ends up being a dozen kids with the same costume. DIY costumes are a great way to save money. Plus it makes their costume very unique because nobody will have that same costume. Plus its a blast. Great post!